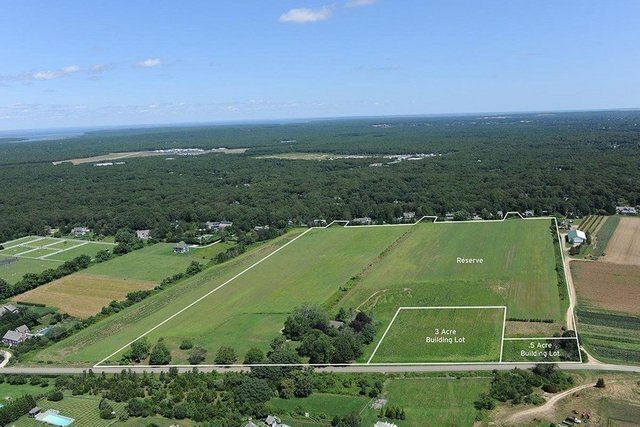 A last of its kind property, which includes 27.9 acres of undeveloped land south of the highway located in the heart of Wainscott farm country. Adjacent to 60 acre farm reserve that provides open farm vistas. The open and expansive view takes you back decades. You cannot find these views anywhere else currently on the market. The property is the largest parcel of undeveloped land in Wainscott south and is only minutes to the ocean. Building plans are in place for a majestic 15,550-square-foot residence that will feature an oversized master suite, seven additional bedroom suites, an elevator, pool with pool house, and tennis court.